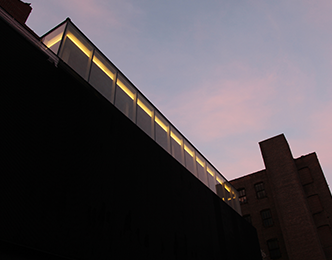 Uniquely situated, 515-521 West 26th Street overlooks the adjacent High Line as a series of stepped buildings. 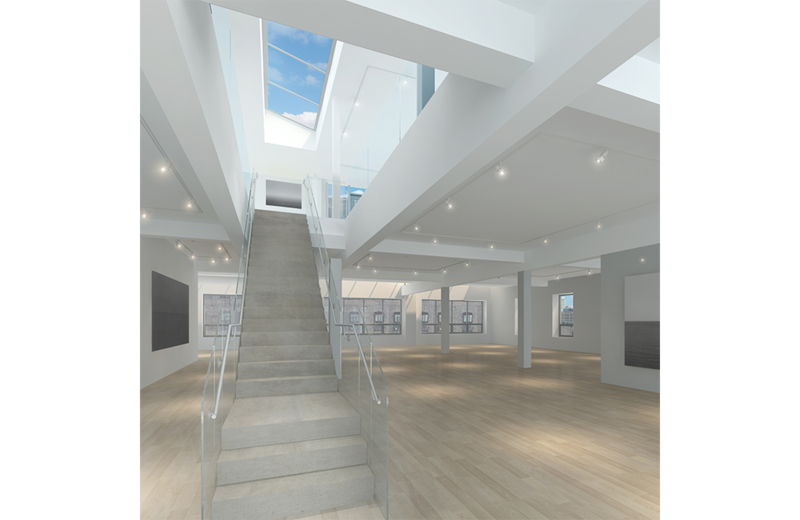 Three new glass penthouses, built atop these Landmark buildings, connect them to the elevated path, creating a recognizable destination and bringing attention the galleries within. 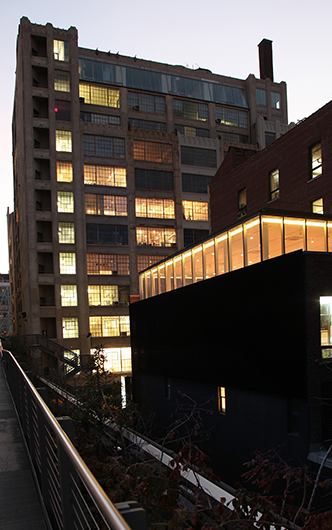 Uniquely situated, 515-521 West 26th Street overlooks the adjacent High Line as a series of stepped buildings. 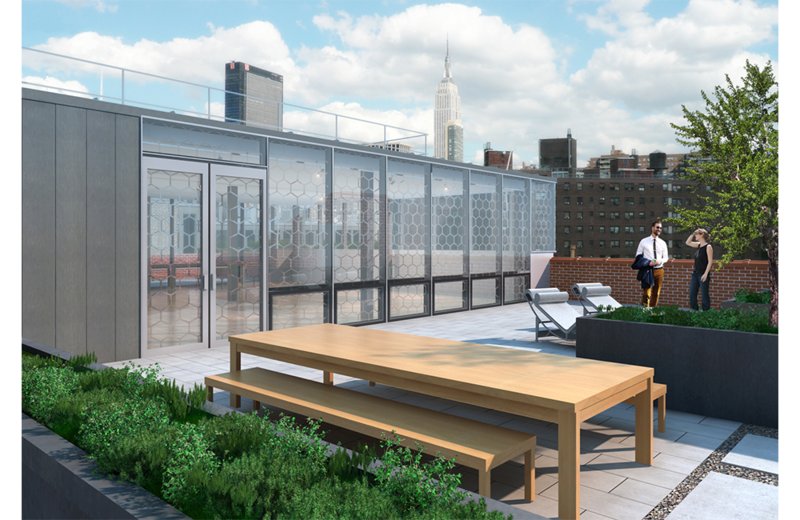 Three new glass penthouses, built atop these Landmark buildings, connect them to the elevated path, creating a recognizable destination and bringing attention the galleries within. 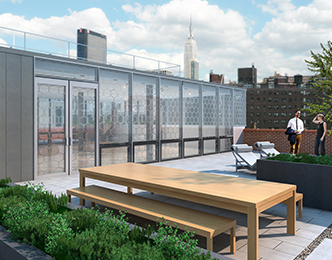 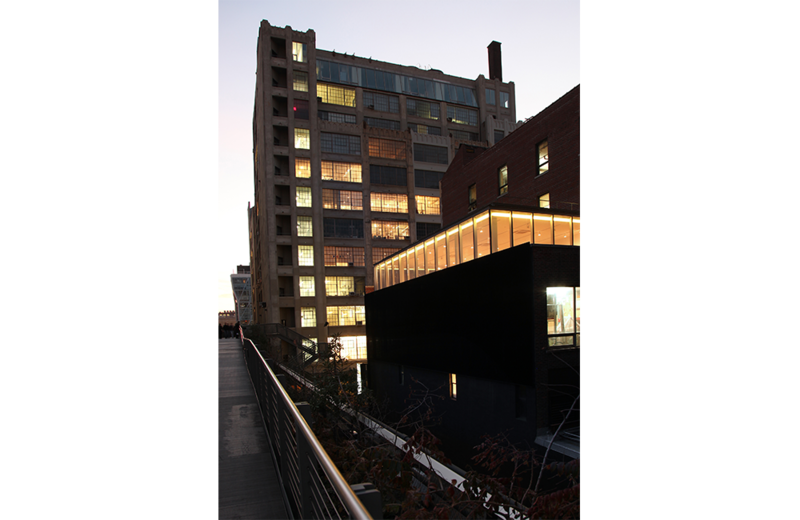 The transparency and lightness of the glass structures allow for unique views and reflect the activity of the pedestrian High Line, the city patterns, and Hudson beyond. 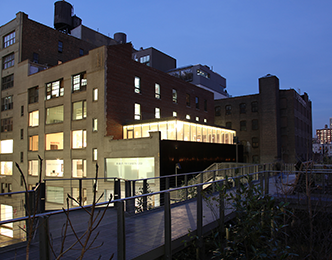 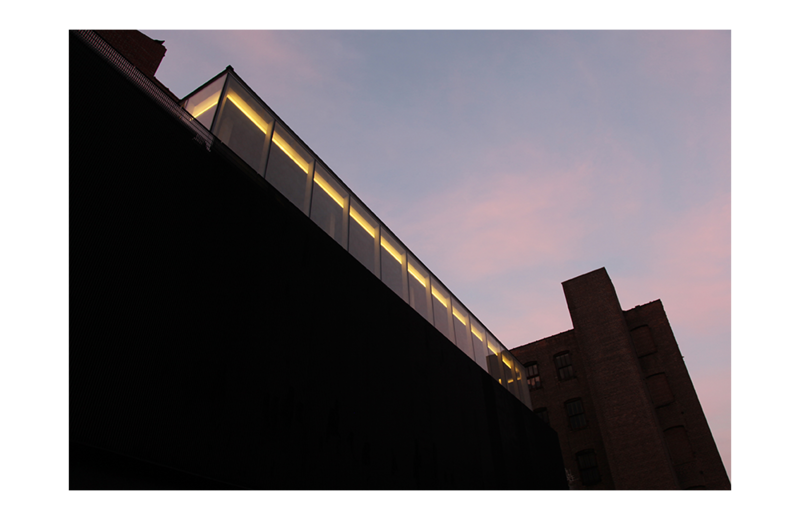 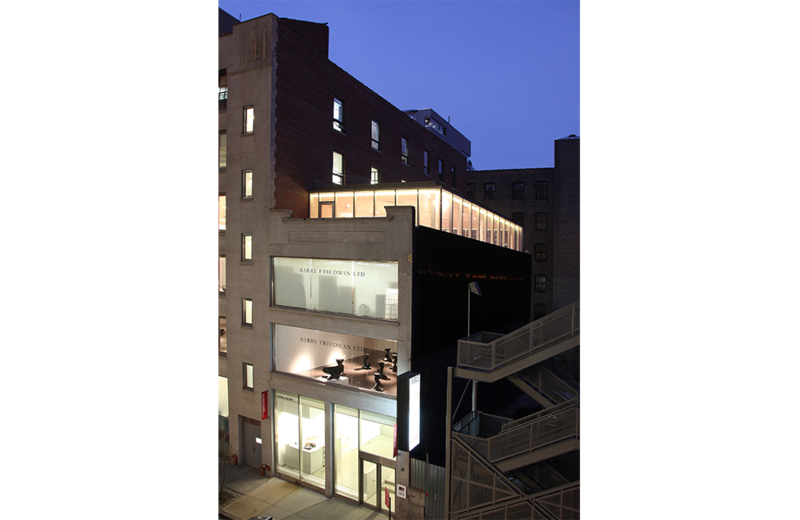 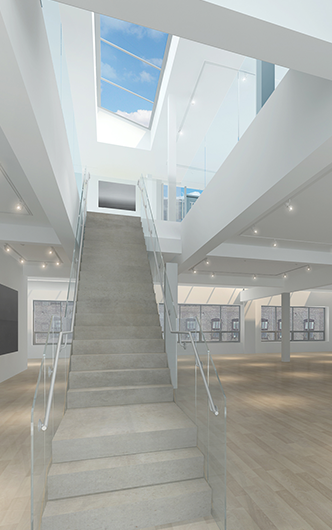 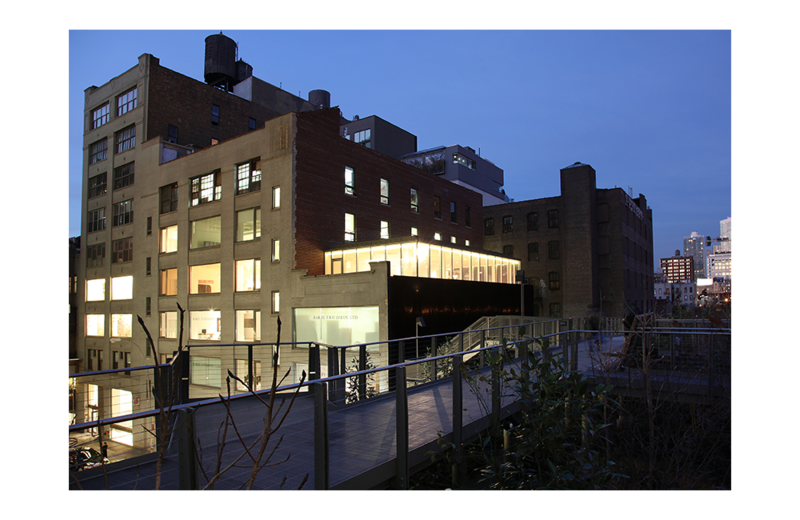 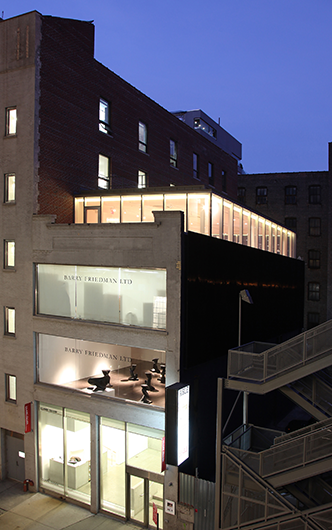 This is the last stage in a unification of the buildings as a West Chelsea art complex, following prior renovation of the building entries and windows.